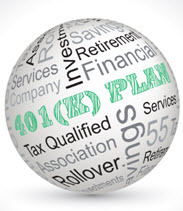 What do a 401(k) and a tax deed have in common? 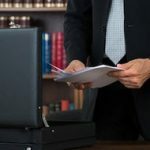 Well if you are self-employed and one day want to retire, working with an experienced attorney in forming what’s called a “Solo 401(k)” (also known as a “self-directed Solo 401(k)”) would allow you to invest in alternative assets such as tax deeds, tax liens, private equity, real estate, mortgage notes, personal lending, stock-bond investments, and more. Solo 401(k)s are qualified retirement plans for self-employed individuals and/or business owners who do not have any employees. They offer both pros and cons: While featuring investor-friendly options and high contribution limits, they also carry strict eligibility requirements, such as some form of self-employment and not carrying any employees whatsoever (other than your spouse). The ability to borrow without having to worry about the loan coming due if your employment changes. When it comes to self-directed 401(k)s, participants can very literally invest in whatever they wish (unlike the circumstances of traditional brokerage retirement accounts). Some of the most common examples that those with self-directed 401(k)s invest in include real estate (both commercial and residential), rentals, tax liens, foreclosures, and others. They also eliminate the need for a custodian, as is required with IRAs. The plan forbids you from doing business with particular individuals known as “disqualified persons” (this describes an individual who is providing services to the plan [such as fiduciary services] and engaging in prohibited transactions). 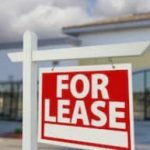 An example of engaging in a transaction with a disqualified person would be if the plan participant, for example, purchased a condo and let their son live there. Another prohibited transaction might involve direct or indirect lending of money, such as signing a loan guarantee for the Solo 401(k) plan, or receiving direct or indirect benefits of the plan by purchasing property and charging a management fee. If you are self-employed and considering a solo 401(k), it is crucial that you work with an experienced attorney so as to ensure that you follow IRS rules when it comes to repayment in order to avoid unnecessary taxes and penalties. At Cloud Willis & Ellis, we can provide you with counsel and value adding solutions necessary for navigating through both simple and complex situations like these. Contact us today for professional legal assistance in Alabama or if you have any questions.